Makes me sad and ashamed! While I the amount of effort that goes into the journalistic process, it plays a bit like a written story hastily adopted for audio. Not groundbreaking but thoroughly informative. Would recommend individual episodes like Child Marriage. The same quality and professionalism one expects from PBS FRONTLINE. I look forward to each new episode. The newscasting was so good. I was left emotional after listening. Keep up the good work! Thank you for great reporting. Relevant and thought-provoking. Thank you Frontline Dispatch! Excellent podcast with world class reporting (as FRONTLINE is know for) however, the opening narration by Raney Aronson makes this borderline impossible to listen to. It is worth listening if you can get thru the first 30 seconds of Raneyâs monotonous robotic tones. You can hear how bored she is in the way she introduces the stories. Just awful. She should stick to producing TV and let someone with a more charismatic voice introduce the stories. She has the charisma of mark zuckerburg and a terminator t-800 mixed together âblah bland and robotic. Get someone to narrate who is genuinely interested in the topics and makes you excited to listen. Looking forward to new season and stories so long as they replace raney with someone with a better voice. Would be 5 stars if it had a better opening narrator. Exceeded my expectations--and they were high! The first season of this podcast was phenomenal. The range, the quality, the depth of the reporting were all so impressive, but even more was the fact that the podcast introduced me to issues like child marriage in the US, and juveniles put away for life, that I was hardly aware. KUDOS, and greatly looking forward to the second season! Now more than ever, we need this type of proper, professional, objective journalistic coverage! Great balance to this piece. Acknowledging the reality of the perspective of both sides of the issue grants me the space to understand the complexity of the issue and truly engage in a more tolerant way as a voter to find and support a true solution. Hopefully next series is more compelling. While I enjoy listening to the Frontline from tv formatted for the podcast, this actual podcast was a big disappointment. The young journalist that is narrating the show sounds like a 12 year old, and I find it difficult to listening to riveting subject matter when the host makes statements in the form of questions, and gravel talks their way through serious subject matter. Maybe when she grows up, or they get a new host, then the show might be worthwhile. As if Frontline wasnât already the best! Keep these coming... please! Great first season! This podcast needs an award!!! Just got listening to the living with a murder episode, wow!!! This is journalism at its finest!!! This is exactly what Iâve been looking for, thank you so much for the content. Man, the time and dedication that it takes for these stories is ridiculous and very much appreciated!!! But why does the narrator speak in a baby-ish voice? It's distracting and hard to listen to because of it. Baby talking is demeaning to intelligence. I used to do this when I was younger and trying to fit into this pretty-cute mold I thought was expected of me in American culture. When I hear women talking in this voice it's distracting from the content. I have always loved the television Frontline series. So thankful to now have an audio series for my commute. My only complaint: wish they had a new one everyday! Wow I'm just blown away! This podcast is so well done. Clear audio quality, excellent journalism, and engaging stories. This podcast is just great. Wow. This is so well done. I am a long time fan of Frontline on PBS. The topics, the narrator, the stories and the presentation. Always well thought out with all sides represented. Informative and entertaining. Well done Frontline!! I'm waiting for more!!! This will be one of my MUST LISTEN podcasts. Investigative and thoughtful journalism has gone by the wayside these days, but podcasts like these give me hope. I look forward to hearing more episodes. Engaging and informative. Would definitely listen to next episode. I'm a big Frontline fan on PBS so obviously I would like this podcast. That being said the production value and news depth of what is presented in each episode is really at the highest quality you can imagine. The depth of the stories that they go into in the 45 minutes to an hour of each episode are really compelling and something you will really enjoy listening to. I knew it would be excellent and it is! Loved the first episode. I had no idea child marriage was even a thing. Very eye opening. The first episode posted, about child marriage in America, was incredibly well done. Interesting characters and a detailed look into something I had no idea about prior to listening. It is an example of some of the finest story telling available on podcasts right now and I cannot wait for the next episode to drop! I'm already a huge fan of this new podcast from Frontline. I like the good production quality and journalistic style. Loved the first episode, interesting topic and well reported, can't wait to see what's next!! I had no idea the process that these kids go through. I've been waiting for this. I love frontline documentaries. I enjoyed the first episode looking forward to listening to the rest of the season. Loved the in-depth investigation into child marriage in the US. Eager for future episodes! How is this in the top 50 w/ no episodes? Gotta pay to play in the podcast game it seems. 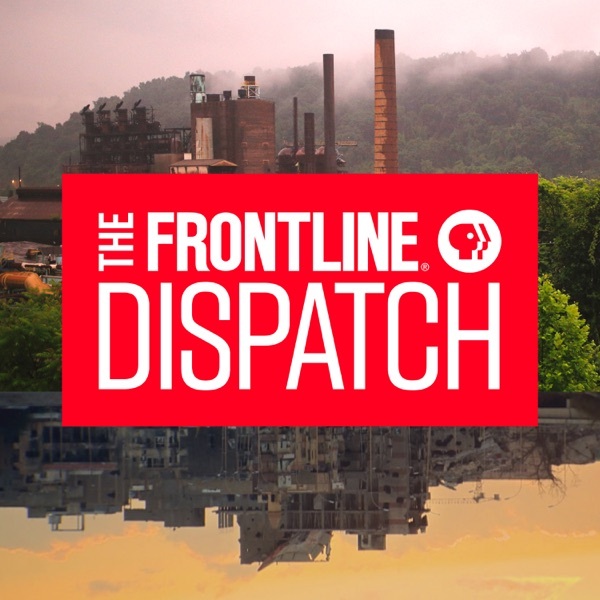 The preview of Frontline Dispatch sent shivers down my spine. I look forward to the stories shared. FRONTLINE investigative journalism meets intimate audio storytelling. So glad this exists. A must-listen.